We’ve got tons of snow yesterday. 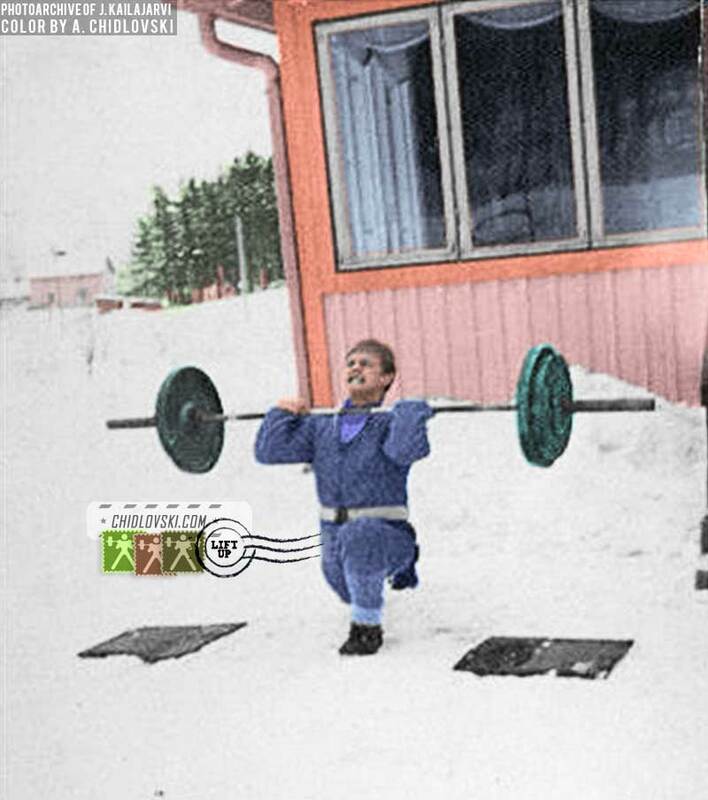 Perhaps, it’s time to practice split style clean like it is being done by well-known Finnish weightlifter Jaakko Kailajarvi, 4x Olympian and world records holder, shown on our History in Color cover photo. Snow stops only chickens from training in Finland! Just kidding. But we did get alot of snow this time.